DES PLAINES, IL--(Marketwired - Dec 4, 2013) - SGK (NYSE: SGK), formerly marketed as Schawk, Inc., a leading global brand development, activation and deployment company that drives brand performance, announced today that it has appointed Robert Border as chief information officer. Commenting on the appointment, David A. Schawk, chief executive officer, stated, "Bob has significant experience in aligning IT-enabled business transformation initiatives and delivering technology solutions. His collaborative leadership style and strategic technical expertise will ensure that our IT infrastructure remains aligned and optimized around the globe as our needs grow." 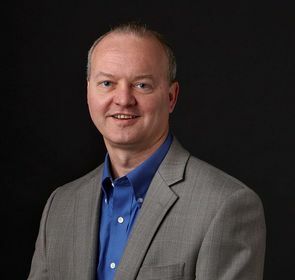 Border's 25-plus year career includes leadership information technology positions at B2B and B2C companies in highly regulated industries and extensive experience in managing and deploying global ERP systems. Prior to joining SGK, Border was senior vice president, chief information officer, at Lawson Products, Inc. Earlier, he held a 15-year appointment with the Monsanto Company where he served in a number of positions of authority and influence. Border also served as managing director, information technology at Midwest Generation, an independent power producer and a subsidiary of Edison Mission Energy. Border also served as chief information technology officer at Merisant, a manufacturer and distributor of consumer sweetener brands. Said Border, "I am excited by the opportunity to help SGK fully realize the value of its information technology infrastructure and its ability to transform business processes. I look forward to working with senior business leaders worldwide to develop and implement IT solutions that help to continuously drive the business forward." Border holds a Master of Business Administration from Northwestern University, Kellogg School of Management and a Bachelor of Science in Applied Computer Science from Illinois State University. He also attended the Gartner CIO Academy, a collaborative experience with the University of Oxford.